Borderlands 3 might be the new kid on the block, but it looks as though the series has been doing pretty well for itself over the past few years. It’s been nearly seven years since Borderlands 2 released, but Gearbox says that it’s still pulling in a healthy player count. Those would be reasonably impressive numbers for a brand-new release, let alone one that’s been out for more than five years. A glance at SteamCharts suggests that the majority of those sales are still coming from console, rather than PC, but even those figures are pretty good. That said, you do have to feel a little sorry for the third main entry in the series, Borderlands: The Pre-Sequel, which isn’t pulling in players to quite the same extent. 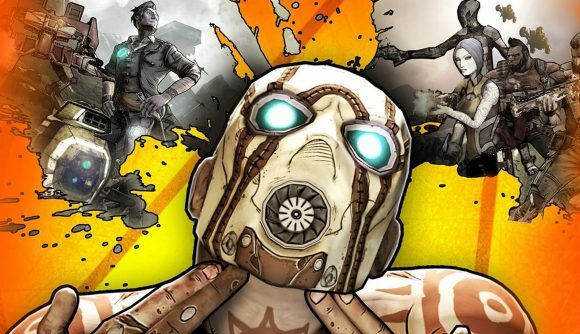 Nevertheless, Gearbox’s recent announcements have seen all of the previous Borderlands games surge in popularity over the past few days. All three main entries have seen their player counts rise by more than 10%, likely a result of a series of updates applied to the games earlier this week. Even Telltale’s Tales from the Borderlands has seen an influx of players, presumably as fans of the series try to ensure they’re as up to date with the series as possible. That’s something I’m going to be doing ahead of the September 13 release date, as well as making sure to finally finish that Tiny Tina-themed Borderlands 2 DLC. The uptick has come in spite of 2K’s decision to release Borderlands 3 as a six-month Epic Games store exclusive – a decision which has seen all previous games in the series review-bombed on Steam over the past couple of days.